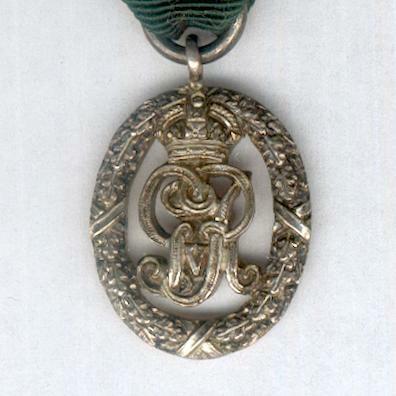 Miniature silver skeletal badge in the form of an oval oak wreath, with loop for ribbon suspension; the face with the gilt crowned ‘GVRI’ cipher of King George V centrally; the reverse plain; height excluding suspension ring 23.37mm (0.92 inch); on original ribbon with silver top bar decorated with oak leaves and mounted for wear. 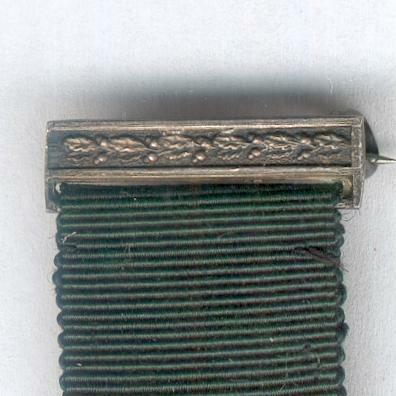 The Decoration was instituted on 25 July 1892 and awarded to commissioned officers for twenty years’ service in the Volunteer Force. 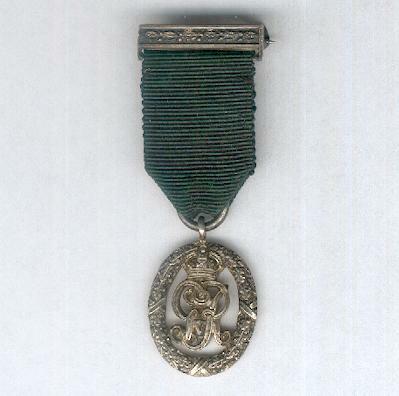 The Decoration was superseded in the colonies in 1899 by the Colonial Auxiliary Forces Officer’s Decoration and the Indian Volunteer Forces Officer’s Decoration and in the United Kingdom by the Territorial Decoration on the formation of the Territorial Force in 1908. 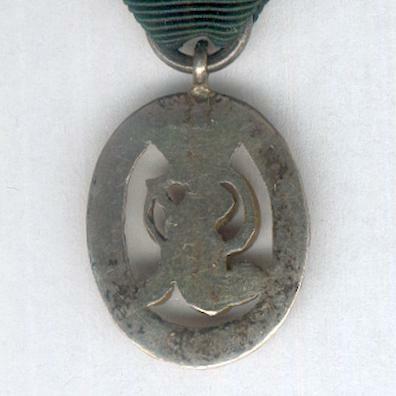 It continued to be awarded in some dependencies after this, Bermuda being the last to award it in 1930. Only about four thousand seven hundred awards were made over the entire life of the Decoration. 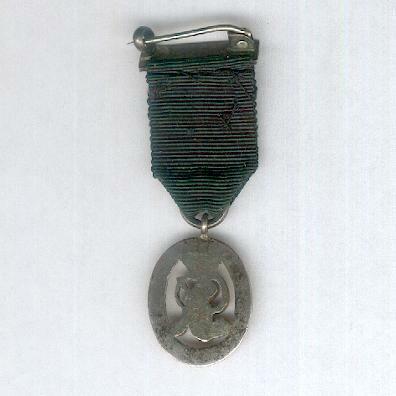 A rare period miniature.